On a blustery day, a surprisingly firm pitch, despite the rain, greeted the players but it was clear that the elements would certainly have a bearing on the game. 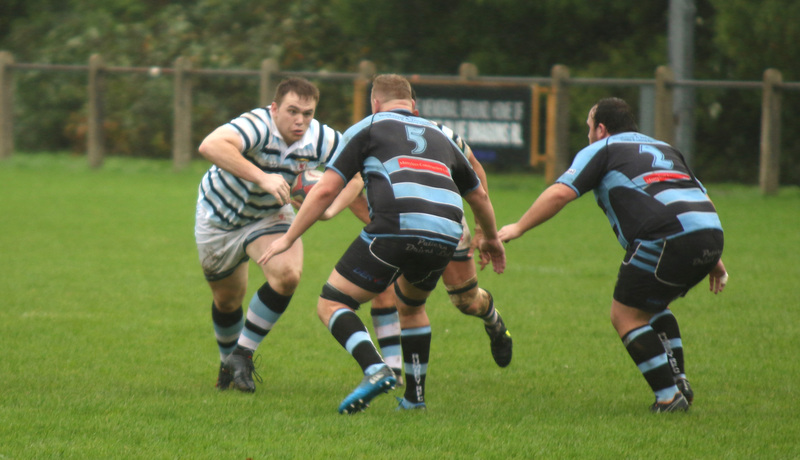 Rumney started with the wind on their backs and got into their stride from the off. Pressurising the Wanderers, the home side were forced into several defensive sets in order to keep their line intact. Rumney had a chance to get the scoreboard moving with a long range penalty but the shot went just wide as the early exchanges were kept between the 22s. 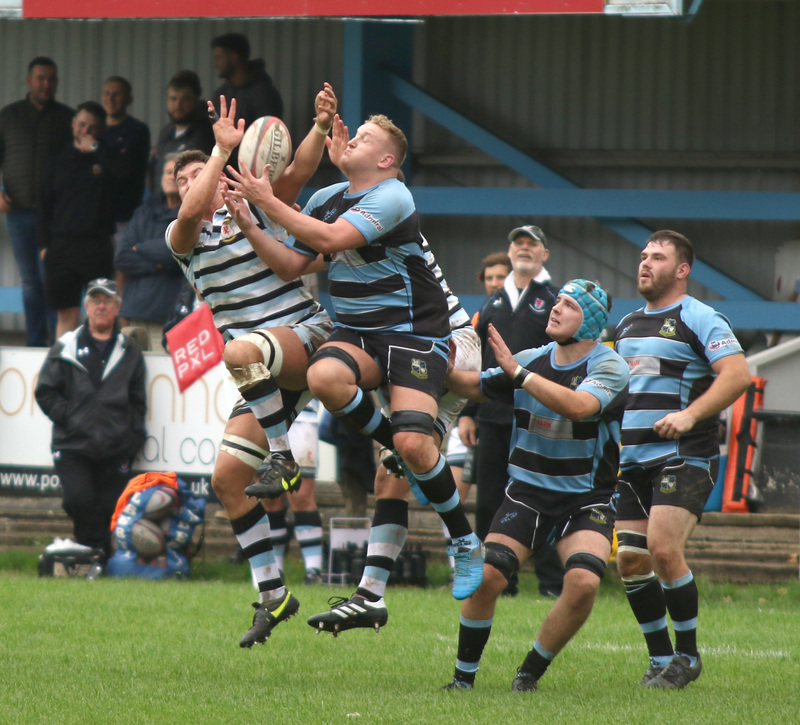 Eventually the Rumney pressure started to provide dividends and a series of penalties allowed the visitors to camp themselves in the home sides 22. With the wind in their faces the Wanderers, despite a few turnovers, were not able to clear their lines and the pressure mounted. A second missed penalty kept the score at 0-0 and as the penalty count against the home side rose, the discipline dropped and back chat level went up. This was bound to take its toll and after a lineout offence Dan Apsee saw yellow. Making the man advantage count with an already dominant scrum Rumney used the extra man to force a penalty try to open the scoring 0-7. This resulted in a second yellow card, this time for Gavin Nash and the Wanderers were down to 13 men. With the 2 man advantage and the elements in their favour Rumney were not going to be denied and a well worked move from a scrum in midfield resulted in a second try out wide superbly converted to give the visitors a lead 0-14. At last the home side were forced into action. Retrieving the ball from the kick off they gained a penalty and that allowed them to take the play into the Rumney 22 for the first time in the game. The home side forwards mounted a series of drives and Max Wootton came up with the ball as the Wanderers forced their way over for their opening score. Luke Fish hit the post with the conversion 5-14. That proved to be the last significant action of the half and the sides went into the break with Rumney in control. Conditions deteriorated and the next score was clearly going to be crucial. The Wanderers had some early pressure but poor handling let them down and behind the dominant scrum Rumney took full advantage. A neat move down the blindside made ground and after some great handling and offloading they surged away to score under the posts 5-21. This left the Wanderers with a huge uphill battle to get back into the game. The Home side attacks became a little frantic but they were able to mount a period of pressure with the wind on their backs. As the penalty count mounted against the visitors the Wanderers tried in vain to get back into the match but as the scrum creaked even more ill discipline let them down. Rumney were reduced to 14 men for 10 minutes after more Wanderers pressure but the home side struggled to make it count. With the game entering its last quarter the result seemed inevitable but in a perverse way a third yellow card against Joe Russell worked in the Wanderers favour. His removal meant the scrums had to go passive and it actually allowed the home side a little platform. From another penalty quick reactions from Ross Pritchard saw him break away and force himself over to reduce the arrears to 12-21 and the Wanderers faithful sniffed a revival. An Attack out wide by Phil Pariyo took play deep and after decent recycling in the visitor’s 22 more wide play saw Will Adams Jones squeeze over for the third try and to give the home side a chance at an unlikely win. As the game entered injury time the home side went in search of that winning score but having to play from deep there was always going to be a massive risk. With the final play the home side tried to go wide but a chip was charged down, gathered by the grateful Rumney backs who raced away to score the bonus point try to send them top of the Division. Final score 17-28. Wanderers Massiv man of the match: Aaron Fowler. No Replies to "Wanderers blown off course"